The Rio Grande was ancient long before the first humans reached its banks. These days, the highly regulated river looks nothing like it did to those early settlers. Alternately viewed as a valuable ecosystem and life-sustaining foundation of community welfare or a commodity to be engineered to yield maximum economic benefit, the Rio Grande has brought many advantages to those who live in its valley, but the benefits have come at a price. Fred M. Phillips directs the hydrology program in the Department of Earth and Environmental Science at the New Mexico Institute of Mining and Technology. G. Emlen Hall is a professor emeritus in the School of Law at the University of New Mexico. 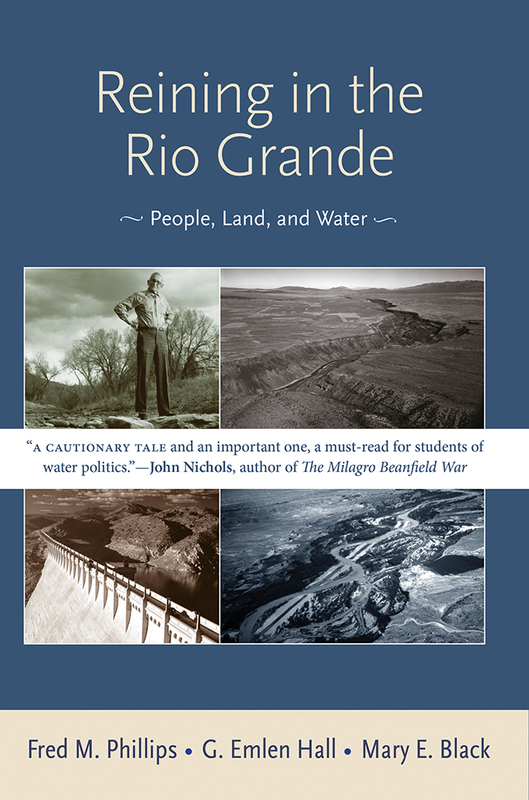 His most recent book is High and Dry: The Texas-New Mexico Struggle for the Pecos River (UNM Press). Mary E. Black has worked as an anthropological linguist, editor/writer, and librarian for the University of Arizona and as an editor of Southwest Hydrology. She currently serves as a liaison with tribes, federal agencies, and scientists.